I can't think of any more exciting feedback than that. Her response is WHY we do this work. In the last year, we've really seen a shift in our efforts. Not just on our end, but with our Tanzania team as well. Alice and her team have a fierce commitment to their financial independence. But maybe not for the reasons you would think. Alice recently shared with us that she wants to be self-sufficient so that she can "pay it forward" to others in her community. To have her own foundation to help other women who just like her want to make a difference in their communities but lack the resources to do so. She is extending on the ripple effect of kindness and generosity that so many of you have showed to her, for believing in her vision and supporting her along the way. In just one year ... Glorious jumped from generating 10% to 50% of their income locally. That means that our investment in operational costs (food, salaries etc) has remained flat - and yet they have been able to grow exponentially. They have added 100 children, more than doubled the amount of jobs for people in the community, and created an affordable community housing project that will soon serve 200 families. And they're paying for it on their own! The school bus picks up paying and non-paying students around the city and takes them to Glorious School. It acts both as a marketing tool for Glorious School, attracting new paying students to join the school, and it also serves as a revenue generator as students who can afford it pay to ride the bus. In the past year Alice has shifted her tuition model for the school where students pay tuition based on ability. Many students come to Glorious School for free, while others pay on a sliding scale. The end goal is to have a 2:1 model where for every 2 paying students, one vulnerable child goes for free. The next step for us was to figure out how to sustainably support aily meal and caretakers for these children. The community came together n designe a solution that best met their needs - a small bus that would be rented out to people in the city. With the help of many supporters, we were able to purchase the bus which is now generating enough money to sustainably support the expenses (food, water, caretakers) of the 15 kids! Check out a video of the kids singing the Glorious School song in the Dala Dala! We still have a huge number of vulnerable children at Glorious who are receiving free tuition to school. Alice found it difficult to pay for all of their uniforms, notebooks and other supplies. To offset these increasing costs, she opened up a small school store at Glorious which sells uniforms, school supplies, and snacks. Soon, she will be generating enough profit from the store to support all of vulnerable children studying at Glorious! 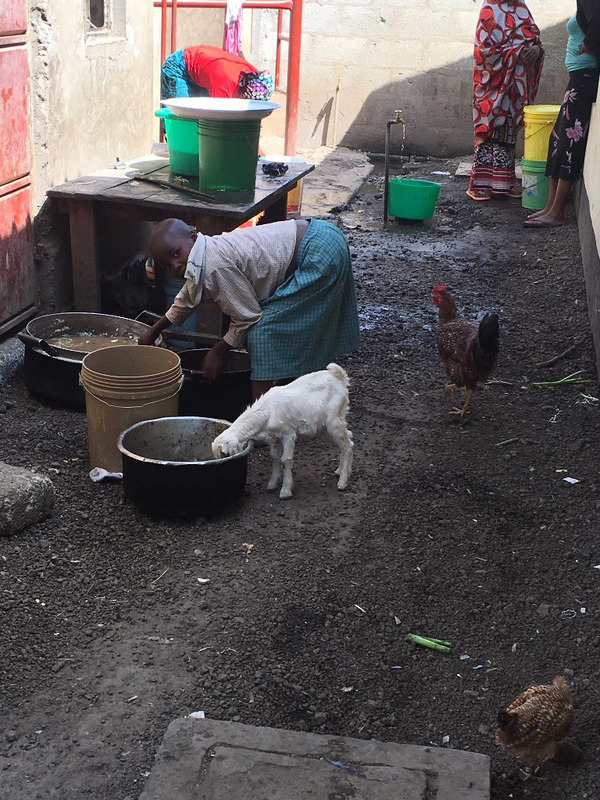 Alice now has more chickens than she can count .. she's selling the chickens and using them for meals at the school and the orphan's hostel. Glorious also has a family of goats that eventually we will sell for their meat. The baby is very small and likes to eat leftovers. This year, Alice from Tanzania and Ingrid from Guatemala met in Nairobi for Mama Hope's annual sustainability conference! These two power house women have committed their lives to bettering their communities - it was incredible to witness a shared passion, faith, and perseverance that transversed continents. This gathering of Mama Hope's partners from across the Globe was a remarkable convergence of individuals who had sacrificed so much for their communities - who despite all the hardships they have faced, have stood unwavering in their commitment to improve the lives and livelihoods of others. It is hard to articulate how deep of an honor it was just to be in the presence of such incredible people. We are so blessed to be able to work alongside them and to support them in achieving their dreams. Beyond building camaraderie and sharing in community and best practices, each leader worked on their strategic plans to achieve sustainability, and received training in Monitoring and Evaluation of impact, and storytelling. Alice and Ingrid have each identified KPIs for their center, and will be reporting on their progress each month. 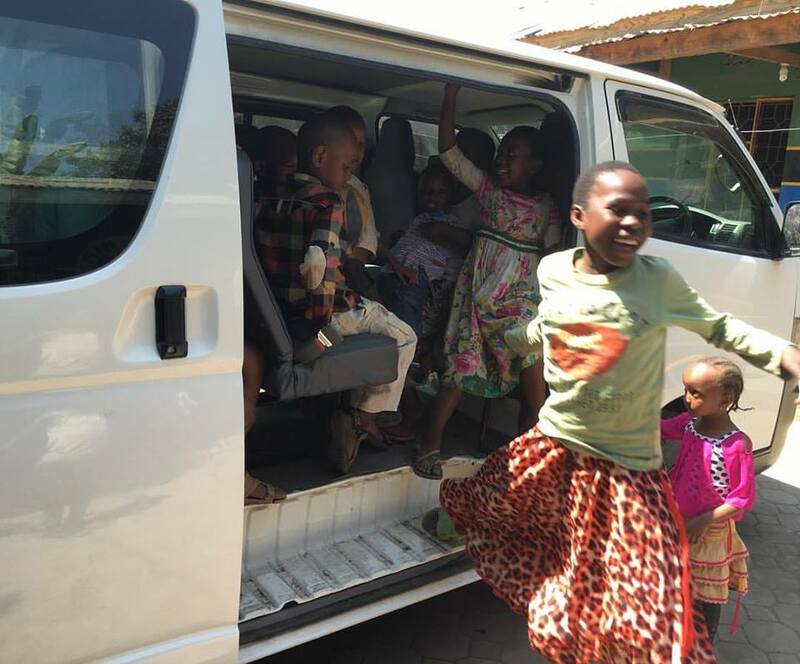 Even more exciting, all Mama Hope's partners in Tanzania and Ghana traveled on the Glorious School bus all the way to Nairobi, Kenya for the conference. Ingrid Villasenor from our Guatemala project, El Arbol del Nino also traveled over to Tanzania to attend the conference. Ingrid had a beautiful testimony during the conference "
"I grew up during the time of armed conflict in my country; a time full of the unknown, of uneasiness, and a time of terror and horror. My father was kidnapped when I was only 10 years old. These were hard times because our lives were constantly threatened and terrorized, but we held onto the hope that we would find my father again. I am the fruit of a valiant woman who was a fighter and a man who was a leader. My father gave up his life for his ideals and his country. They may have killed my father, but they did not kill his seed. Our countries are very similar the conditions and even the environment although maybe the language is different, we are connected - with all of our passions and our heart they are the same. Thank you for embracing me you will always be in my heart." 25 seconds of pure smiles! When I first met Alice, she told me that one day, she would run the best school in Tanzania. As crazy as that sounded at the time: there were 30 kids, no water, food, classrooms, bathrooms, or teachers, she believed whole-heartedly that this was possible. In the past 7 years, Alice has made tremendous strides towards her vision. There are now 300 students at her school, over 40 jobs, 2 water wells providing water for the school and broader community, small businesses being started and run by women, adult education classes, food security programs, an orphan's home, a community housing project that will soon serve over 200 families .. it's remarkable that she has been able to achieve so much. Alice hasn't just created one of the best schools in Arusha - she's running a center that has created prosperity for thousands. In her mind - she's just getting started. In January of this year, she opened the doors to Glorious' second school campus. Currently our administrative building is acting as a temporary school for our older kids. However, the plan was always to build a multi-level school allow all students to complete their studies at Glorious School. If we don't break ground this year, our Class 6 students will have to find another school to continue their studies next year. The time to break ground on the foundation has arrived! The school will allow us to take on 600 new children and provide a K-12 education for all of our children so that we can assure they complete their studies! This school is BIG .. but it's impact will be HUGE .. we'll be able to provide quality education todouble the amount of children, and double the amount of jobs in the community. To complete the foundation, we'll need to raise $100,000. Alice and Julius are committed to raising funding themselves to help with the foundation. And we have committed to help them find as much of the $100,000 we can before the end of the year. Please consider making a donation of any size to help us reach our goal. We will be looking high and low for grants to cover $50,000 - but are looking to you, our incredible community who has already made so much happen, to help cover the remaining $50,000. If you have any ideas for us for grants, or connections to someone you might know to help us out - Any and every donation counts. Tessa Peoples: "From the Ground Up"
Katie Remy: "Why I Quit My Job to Fundraise"
Read the full story on Classy. For the past 10 days Katrina Christenson, our first Guatemala Global Advocate, took over our social media to give a glimpse into Glorious' new partnership, the beautiful community of Panajachel and her work & life on the ground. Meet Katrina and check out a recap of her #10daytakeover posts! 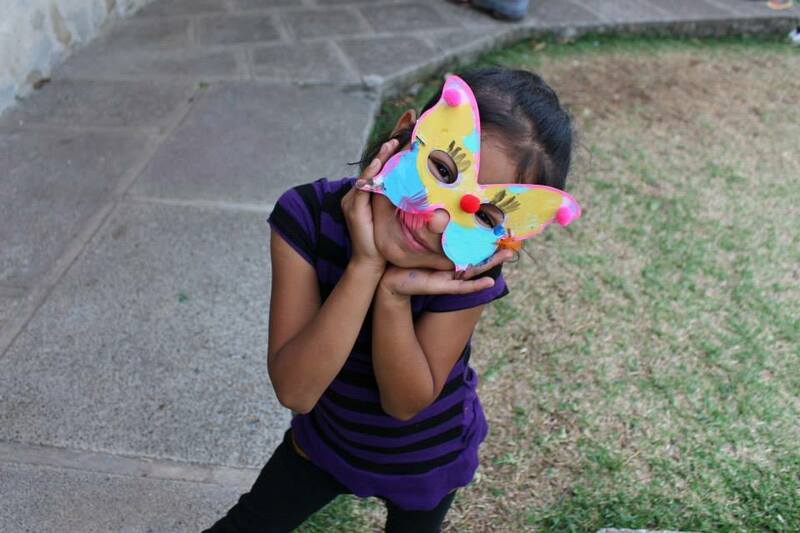 Meet Ingrid: Our newest partner in Guatemala, and director of the holistic education center El Árbol del Niño. Ingrid comes from a family of activists who stood up for human rights amidst the Civil War in Guatemala. She previously worked with UN Women in micro-finance and then led programs for an education non-profit working in rural villages throughout the country. Ingrid realized that there is much lacking in the Guatemalan School System and decided to fight for what she believes in. "We need critical thinkers, problem solvers, and children who will become agents of change in their own communities." By making small, positive changes, we will create big, long-lasting impacts. Ingrid is a true innovator in today's world of contemporary educational challenges, empowering the next generation and breaking the cycle of extreme poverty. Ingrid is one of the most hardworking, kind, and passionate women I know, I am so grateful to get to learn and work with her everyday! The children's favorite art project last year at El Árbol del Niño, was making "barriletes", or kites out of colorful tissue paper and reeds. Each one added their own personal flair and they turned out beautifully! These kites are used in Guatemala during El Día de los Santos to send messages to the ancestors. The best part was seeing how happy they were when their kites took flight! Like the kites, these children are so brilliant and full of life. It is a pleasure to watch them dance and soar to new heights! Family engagement is the first step in providing for the child's health and well being. Part of my work as a Global Advocate has been building relationships with each family. I have visited their homes, listened to their stories, and asked questions regarding health, nutrition, and socio-economic circumstances. I enter into a dialogue with mothers to explore their interest level and how they would like to participate in activities the program could offer them. In this way they are co-creating new opportunities new opportunities for themselves and helping to build community. When the families are supported, they take more responsibility in their child's education. Bonus: sometimes during home visits, I get to hold babies for hours, drink hibiscus tea and learn things about Guatemala that I would otherwise never hear about. We are creating relationships that will continue long after I leave Guatemala! Happy Friday!!! Yesterday we painted the walls of the Center! The students come back next week and we wanted it to be bright and inviting. Henry, one of the students, came to help out 😊 It's looking great! Lake Atitlan is renowned as one of the most beautiful lakes in the world, and I'd have to agree! Formed thousands of years ago by a volcanic eruption that left the crater, the lake is surrounded by 3 majestic volcanos, and another active one you can see in the distance. The culture in the surrounding 11 towns (each named after a saint) are influenced by the Mayan people. There are 3 indigenous languages spoken and each town has a traditional 'traje', or dress and celebrate unique festivals. The people truly mirror the beauty and diversity that is the lake region. The sustainable development project we have been working on the past 3 months has been laying the foundation to create a functioning permaculture farm. On this piece of land, our goal is to produce enough fruits and vegetables (and perhaps eggs and chickens) to feed the children at the Center and their families. After this goal is met, we will start creating small business opportunities to the families to sell produce, lead walking tours through the adjoining forest, and renting out space for workshops. With the legal paperwork, strategic plan and budget coming together, we will begin to clean the water with plants and switch from monoculture crops to a polyculture system and forest plants without the use of pesticides. This process will meet our human development goals while creating a natural ecosystem to provide a flow of resources to sustain the Center and the partnering families. Meet Jocelyn's family: She and her 8 brothers and sisters live with their parents in a 2 bedroom house. Her mother, Susana, sells snow cones from a small cart on the street, her older brother teaches the students breakdancing, and their father works odd jobs. They live off as little as 400Q ($54) a month. They get water and electricity from a family member who lives next door. Jocelyn is one of the brightest, sassiest, and most respectful students at the center, but this is the reality many of them face at home. We are working hard to ensure each family had access to sufficient, nutritious food. This will greatly improve their health, the development of the children, and help them thrive and blossom into the wonderful little humans that they are! "Every oasis needs renovating, new energies, and new colors! Painting and redecorating to receive the children with open arms in their beautiful oasis in Panajachel; El Arbol del Niño." -Ingrid (translated from Spanish) We can't wait to see the children's faces and reactions when they come back to the Center tomorrow! "Children are not things to moulded, but people to be unfolded." -Jess Lair 🌻 It has been an absolute pleasure introducing our newest partnership and sustainable development project in Guatemala with you! We are all so grateful for the outpouring support. By investing in and empowering children, creating and nourishing lasting relationships, joining together community by embracing tradition, listening to one another, and working together, we are building a brighter future! Sharing Two Weeks of Gratitude into 2016! As we get into the last couple of weeks in 2015, we wanted to pause, reflect and thank our Glorious community for such an incredible past year! Join us as we share #2weeksofgratitude, stories & highlights , as we countdown to the new year. Day 2: Education. Thanks to our incredible community, this past year over 280 children and adults were educated through Glorious' programs & our school is currently ranked 17 out of 118 schools in the region. Day 3: Community. Because of your outpouring of support, our community raised over $20,000 to purchase Glorious' new Dormitory that houses and provides love & care to 15 orphaned children! Day 5: Guatemala Expansion. Because our vision is to partner with leaders like Alice to create sustainable communities, we have established our newest partnership in Panajachel, Guatemala. Glorious' Katie Carey first met Ingrid Villaseñor, the founder of El Árbol del Niño & our newest partner in Guatemala, in 2012. At the time, they were working for a non-profit serving rural communities and building schools in Guatemala. Katie was incredibly moved by Ingrid's passion to serve her community and recognized how similar the visions of Alice and Ingrid were. Ingrid's organization is a holistic education center that focuses on leadership development for children in elementary school. Katrina Christensen, the first Global Advocate to travel to Central America, is helping us to set up our efforts on the ground that will support Ingrid's programs. Day 7: Our second campus. On January 11, 2016 we will be opening the doors to Glorious’ second campus! This past year we completed the administrative building (3 temporary classrooms), bathrooms/plumbing and a security house. We are so grateful for all of the opportunities that this new campus will bring to the community! Join us on this journey. Day 9: Holiday Celebrations. Merry Christmas & happy holidays to our Glorious family! Here’s to so many things to celebrate in 2015 including a beautiful holiday party and year end celebration at Glorious! Day 10: Volunteers. Showering lots of love to our entire Glorious community during this holiday season. Special shot out to our dedicated volunteers -- individuals like Amber, Nina, Dru, Kali, Sarah, Marcella, Joanne and beyond who spent invaluable time on the ground at Glorious this year running permaculture trainings, yoga and photography workshops and much more. Day 11: Teachers. Thank you to our incredible teachers who have dedicated their lives to education and building the future generation of Tanzania! Day 12: Google. Over the past month, Google has raised over $8,500 for Glorious to help with the expansion of our second campus. We are so grateful to Brandie Heinel & Malea Gadoury, 2 Googlers & close friends, who led this internal campaign and will travel to Glorious to see the impact firsthand! Day 13. Our Why. This is our manifesto & WHY we do what we do -- inspired by all the incredible people who touch our organization. Day 14: Boston College. Hannah Beavers and Katie Carey, Glorious co-founders and BC alumni, are so grateful to the outpouring of support this year. They are excited to share that they just recently received their largest grant to date from Boston College to expand the Global Advocate Fellowship and their programs in 2016! Thank you for celebrating ‪#‎2weeksofgratitude‬ with us as we countdown to the new year! We are so grateful for 2015 and all that awaits in the year ahead. Happy New Year's Eve & many blessings in 2016! Thank you for our biggest, most Glorious year yet. Thank you so much for your support throughout 2015 - here are just a few highlights & ways you've helped to create impact! Because our vision is to partner with leaders like Alice to create sustainable communities, we have established our newest partnership in Panajachel, Guatemala. Glorious' Katie Carey first met Ingrid Villaseñor, the founder of El Árbol del Niño & our newest partner in Guatemala, in 2012. At the time, they were working for a non-profit serving rural communities and building schools in Guatemala. Katie was incredibly moved by Ingrid's passion to serve her community and recognized how similar the visions of Alice and Ingrid were. Ingrid's organization is a holistic education center that focuses on leadership development for children in elementary school. Katrina Christensen, our first Global Advocate to travel to Central America, is helping us to set up our efforts on the ground that will support Ingrid's programs. While all donations made to Glorious go directly towards our projects in Tanzania, at this stage, funding for El Árbol del Niño is raised solely by the Global Advocate Fellows. Katie Remy: Raising funding for sustainability projects and the expansion of our microfinance program. She is traveling to Tanzania in Feb. 2016. We are also recruiting for our January, May and October 2016 Global Advocate Fellowship classes. Click here for more information. Hannah Beavers and Katie Carey, Glorious co-founders and BC alum, are so grateful for the outpouring of support this year. They are also excited to share that they recently received a $75K grant from Boston College to grow the Global Advocate Fellowship and their impact in 2016! We are just $6,000 away from reaching our $250,000 fundraising goal for 2015! Thank you so much to our Glorious community - and to Alice & Ingrid and the communities around the world that inspire us everyday! Apply to be a Global Advocate this fall! Glorious is joining forces with Mama Hope to change the face of global development. Mama Hope is a nonprofit that trains impact entrepreneurs from around the world to partner with visionary leaders in rural African communities. In partnership, they fund and build community-identified sustainable projects using 100% local resources. 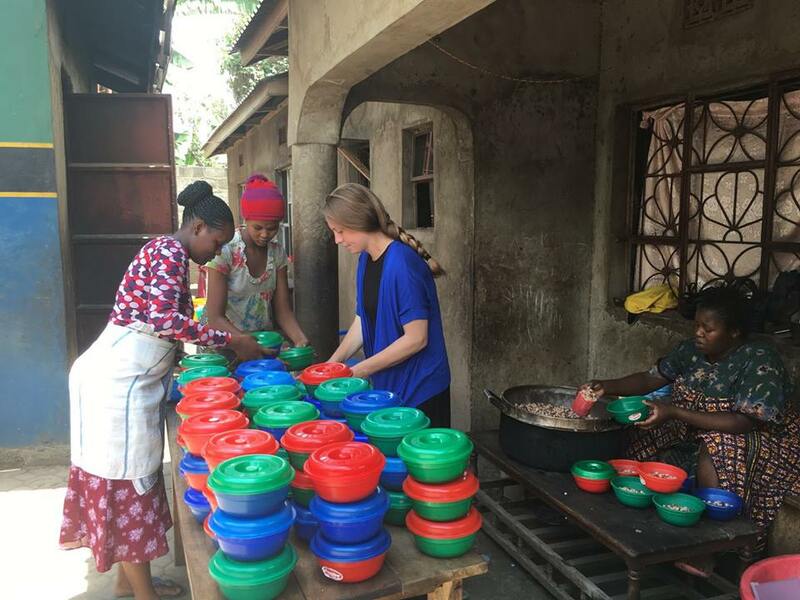 To date, they have completed 50 projects that have created access to health care, education, food security and clean water for over 150,000 people in Kenya, Tanzania, Uganda and Ghana. The Global Advocate Fellowship was launched by Mama Hope in 2011. Since then, they’ve trained 40 impact entrepreneurs who have raised over $1 million to fund life changing projects that empower thousands worldwide and disrupt the cycle of poverty. Glorious is incredibly excited to be training Global Advocates alongside Mama Hope to maximize the impact that these social entrepreneurs will be making. Who are the Global Advocates? The next generation of Global Change Makers! Recent college graduates or masters students, those looking for a career transition, those with a desire to impact the world, innovative risk takers, entrepreneurial spirits, the list goes on! Glorious and Mama Hope are NOW accepting applications for Class 9 of the Global Advocates. We are looking for individuals who want to make a difference and radically shift the non-profit & international development spheres! Applications are due September 24! Long Term Sustainability of Glorious! Thank you for joining us on our journey to ensure every child’s right to an education and every person’s right to a comfortable living. We are so grateful to have your support, and it is through your contribution that we are able to continue to do what we do! As you all know, our sponsorship program is integral to supporting the day to day expenses at our school, and we rely on this money to support our children. However, we are considering other alternatives to promote the longer term sustainability of Glorious. We believe it is important for Alice and Julius (who run Glorious in Tanzania) to generate their own income instead of being wholly reliant on us to provide for them. Alice and Julius are fully on board, and excited to take on more financial ownership of their project. That being said, we will.. This transition will not happen overnight, but our plan is to roll it out slowly over the next few years. Ultimately, the children and the adults involved will all be better off if the school is sustainable. As we make this transition, we would like to ask you to work with us as we explore alternative ways of funding our children's education. We still need your financial support and very much rely on it to run our school, but will ask if you are able to help us contribute to our new school campus or, more generally, to teachers and food. This new school campus will attract new students who can afford to pay a reasonable monthly tuition for our school. We will balance the number of paying students with non-paying students to meet our monthly budget requirements. The sooner we can get the school opened, the sooner our school will be self-sufficient. Together, we hope to create a brighter future for our partners and families at Glorious! Thank you for all that you do! This past week, the Glorious team has been incredibly fortunate to visit visionary leaders in Guatemala and further explore how our impact can continue to create a ripple effect around the globe. We met with amazing organizations that are moving mountains to empower women and children, and to create a better future for Guatemala. El Arbol del Niño provides children in the Panajachel community with an after-school safe space equipped with nutrtitious meals, homework help, and a curriculum that teaches children that their voices matter. PAMI promotes children's rights by working closely with leaders and political systems as a means of integrating children's rights into their policies, and by empowering children to be advocates for their communities. Starfish One By One is an organization that supports and mentors girls to transform their lives through education. All of these inspiring leaders graciously welcomed us into their offices and homes to discuss our programs and exchange ideas, and we are so excited for what the future holds. By supporting education and female empowerment, we can create the world we'd like to live in--one that recognizes humanity rather than birthplace or gender, and one that makes education a top priority. Join us on this journey--we're better together! Mama Hope and Glorious' Atlanta Summer Soirée! Pictured above is one of our Global Advocates, Marcela, who is currently in Tanzania supervising the construction of our second campus. Think back to when you were a kid - your birthday is on the horizon, and all you can think about is the cake, the decorations, the people that will be celebrating with you, the fun games you would play ... THE PRESENTS!! Other than Christmas, my birthday was the most exciting day of the year it was a day that was special for me, it was my day. At Glorious we've seen some pretty incredible things - one of the things we've been especially impressed by, are the people of all ages who have donated their birthday to Glorious. Instead of receiving gifts themselves, they have received donations to benefit the children at Glorious. There is Sophie, who during her birthday party, accepted money instead of gifts and sold refreshments to raise enough money to sponsor a child at Glorious. There's Noah and Simon, who donated their birthdays and raised money to sponsor a child as well. This is Noah and Simon delivering me a check at the office, the check had the Glorious logo! There's Shefali who donated her birthday and raised money to send one of our former students, Jacobo to a school for the blind. Here is Alice handing out tasty pieces of cake to each of the kids! And now Katie, whose birthday is tomorrow - and whose goal it is to raise $5,000 to finish the roof of a building at Glorious that will have 3 new classrooms. Tomorrow is Katie's birthday - let's help her get to the $5,000 mark!!! We believe that everyone deserves a better chance at life, no matter how young or how old they are. Eliwangu has a bright smile and spirit. Her joy is visible to all by the love she shows to others, and the tears of happiness she sheds when she gives thanks. Eliwangu is a gracious 60 year old widow, a mother of six, and the legal guardian to her youngest grandson. Jonas, now 8 years old, studies at Glorious. Her husband was a tailor in town and had also bought 13 small mud houses nearby so that they could rent them out to people. After her husband passed away she found it very difficult to keep up with the houses, and collect rent from the people living there. The houses are now in unlivable conditions. 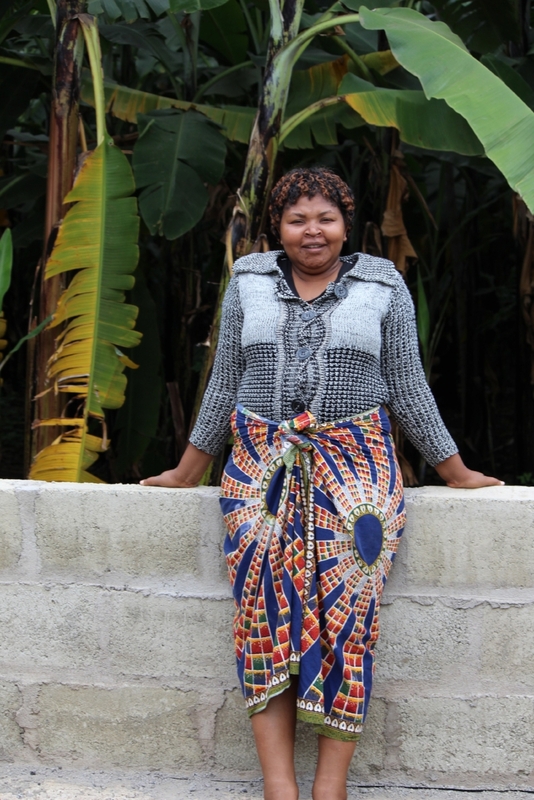 Eliwangu applied to our micro-loan program and was granted a loan toimprove the condition of the houses so that she can begin renting them out to people. She will also hire someone to keep up with the rent collection. The day after she received her loan, she already had someone at work refurbishing one of the rooms to be rented. We cannot wait to see how much progress she makes over the next few months!